A fire in your home could quickly get out of hand. Having the right fire or smoke alarm installed could offer a life-saving warning for you and your family. Our team in Darlington, County Durham, believes that any alarm is better than no alarm. Get in touch today and allow our friendly experts to install the right system for your property. There is a vast range of different fire alarm systems, each designed to fit the needs of different people. These range from just sounding a basic alarm to notifying the emergency services directly, or even triggering fire doors or sprinklers. Most modern houses will now have a fire alarm system built in as a matter of course, but this was not always the case. 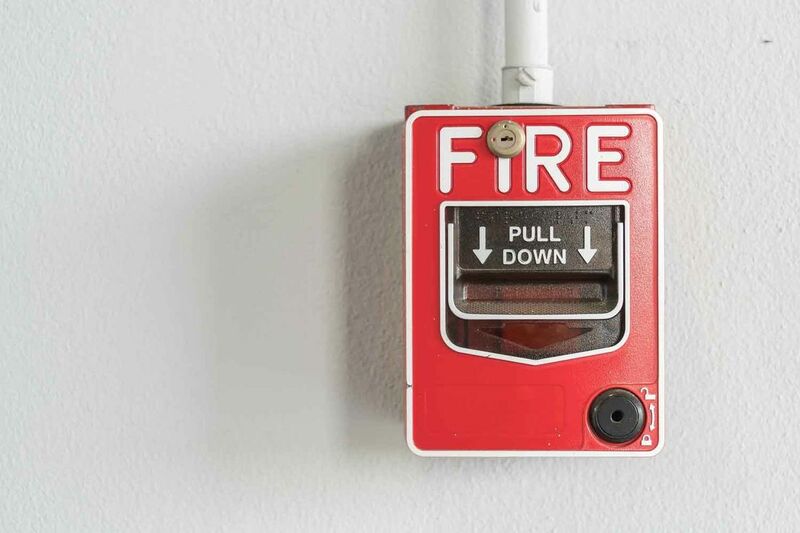 It is highly recommended that all older houses have a proper fire alarm system installed as soon as possible. This can not only save lives, but can greatly lower the insurance premiums on your house. Landlords, letting agents, and companies should also note that they leave themselves open to prosecution without a properly installed and maintained system in their company buildings, or leased properties. NJS Limited supplies and installs a range of domestic fire detection equipment, from the simple standalone battery-powered detector to a full, mains-powered system with battery back-up, interlinked units, and control systems to test and silence the alarms remotely. It is worth considering installing carbon monoxide alarms in instances where gas appliances are in operation. Carbon monoxide is extremely dangerous and we always recommend the installation of an alarm to alert you of any leaks. Carbon monoxide is a lethal gas that is undetectable by sight, smell, or taste. It is also a natural bi-product of burning fossil fuels, and can be produced by improperly fitted or maintained gas appliances in the home. CONTACT US TODAY, in Darlington, County Durham, to arrange the installation of fire and smoke alarms.